There are many important dams and barrages in India . 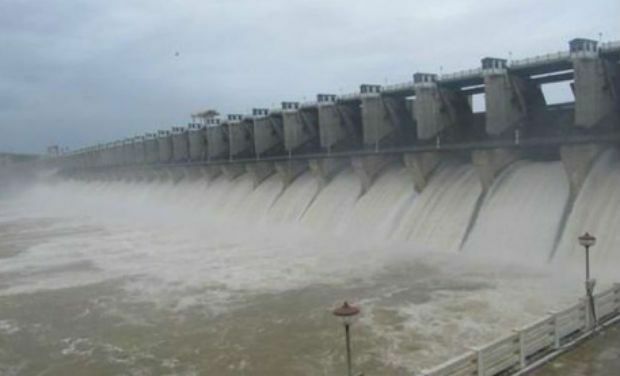 Singur Dam also written as Singoor is an irrigation, hydroelectric and drinking water project located near Sangareddy town of Medak district in Andhra Pradesh, India.It is a major source of drinking water for Hyderabad city. The Dam is built on the river Manjira. The construction was completed in 1998. Singur reservoir has gross storage capacity of 30 Tmcft It is a popular tourist destination. There are about 1000 crocodiles present in the waters. This is being repeated in many websites with no confirmation as to the source of this count. This pipeline scheme is an inter river basin transfer link by feeding Godavari River water to Krishna River basin for Hyderabad city drinking water and subsequent regeneration/sewage flows generated (80%) for irrigation purpose. Nearly 10 tmcft water is supplied to Hyderabad city from this reservoir.